Working at Special EFX brings us into contact with some lovely people, who present us with some amazing and sometimes challenging ideas for sculptural commissions. Inevitably, they tend to involve expertise in 3D printing, which is an area of the business in which we have invested significantly in the last few years, both in terms of new kit and also training and resources for the Design Studio. 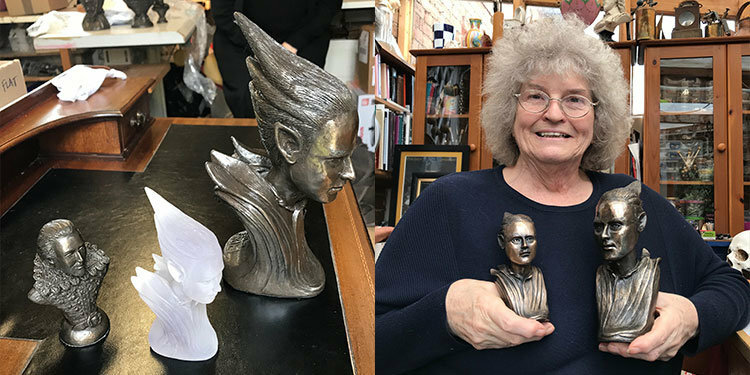 A project for local artist and sculptor Judy Methuen ticks all the boxes when it comes to fascinating, 3D printing challenges. Her studio is in Alderminster, just down the road from our works. Cast your eye around and there is no mistaking Judy’s passion – Shakespeare. She is particularly acclaimed for her bust of Shakespeare, which she sculpted from the famous Cobbe portrait. More recently, Judy has been inspired by the spirit of Ariel from Shakespeare’s play The Tempest, performed by Mark Quartley in the RSC’s latest adaption. Ariel is the spirit servant of the character Prospero, who uses white magic and is depicted as having strong attributes of empathy and goodness. 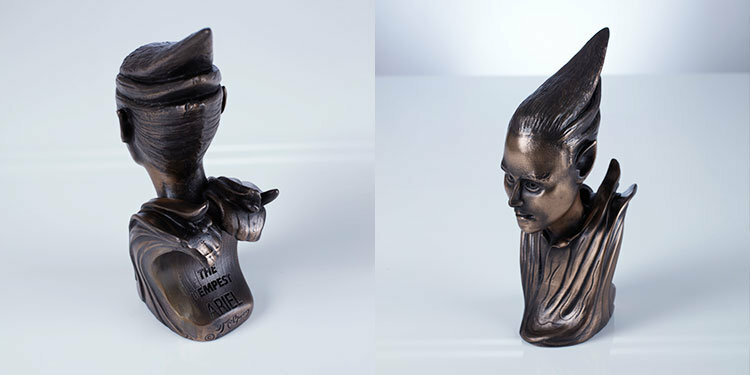 Judy’s original sculpture stands 260mm tall, which we first 3D scanned in our design studio and then re-scaled to 175mm in height, complete with all its wonderful detail and character. 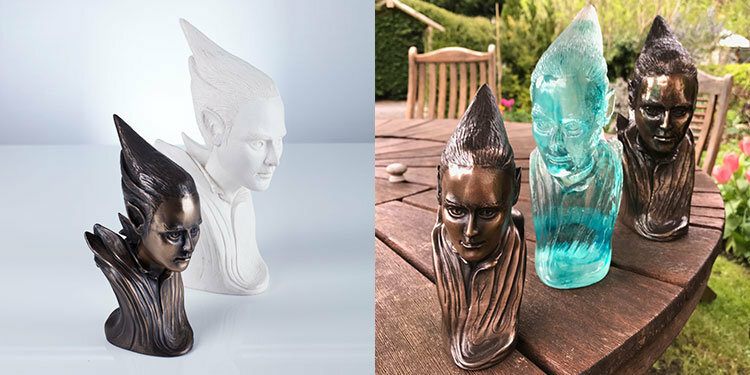 Like magic, the software converts the mass of scanned data into a format which we can then 3D print in resin, which Judy hand-finished before multiple cast bronze busts were cast. The technology is amazing and so rapid now that we have all the technology at our Ettington design and production site. Judy completely embraced the technology: “EFX’s 3D technology is so impressive. In the old days, I would have had to re-sculpt Ariel at the smaller size but the technology has allowed EFX to repeat my work honestly and completely – the result is beautiful”. You can find Ariel and other sculptures for sale on Judy’s website.